Smoky Mountain Malls and stores are simply the best! Everything you would ever need, or want can be found right here! The shops are filled with everything from clothes and shoes to arts and crafts.....not to mention everything in between!! Get ready to spend a whole day, or perhaps even a whole week finding the coolest, and most unusual things these mountains have to offer! So, C'mon! Let's see what kind of awesome stuff we can find inside these great stores! smoky mountain malls and stores are great!! Especially when you're shopping in the Smoky Mountains! The old saying "shop til you drop" could have originated with these exciting shopping centers here in the Great Smoky Mountains. Everything you could ever imagine, or possibly want is right at your fingertips! AMISH CREATIONS & COUNTRY MARKET Some of the area's most interesting "finds" are found here! The community's Amish carry an excellent selection of "Amish made" furniture, home decor, and more. It's a great place to find souvenirs and Black Bear decor! ANTIQUE STORES If you're into antiques, look no further than Sevierville! 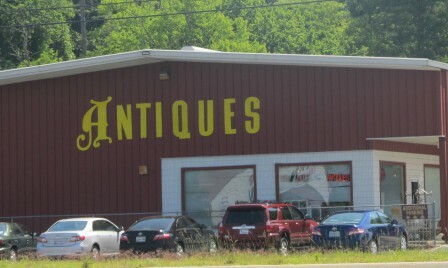 There's lots of cool antique shops with some of the finest antiques you'll find anywhere! Have a blast visiting these nostalgic shops with lots of great stuff from the good ole' days! You'l also see stuff for the first time that you'll most likely fall in love with! However, you won't know till ya check it out! BASS PRO SHOPS You got it folks!!! Your Sevierville shopping trip may include this famous sports (and more) shop that everyone loves! 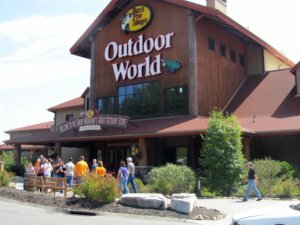 Once you finally find a parking place and get inside, you'll see for yourself just how much Bass Pro Shops has to offer! This experience is sure to be one of the biggest highlights of your Sevierville shopping trip! It's a real experience for the whole family. Tanger Five Oaks The most popular by far is Tanger Five Oaks! "Mall Junkies" will flip! This mall is gigantic ..And it's "chocked" full of brand name stores! Every fashion and style is accounted for here! When it's time for a rest, you have your choice of great restaurants for fine dining. SMOKY MOUNTAIN KNIFEWORKS - SEVIERVILLE - Smoky Mountain Knife Works is another one of the Great Smoky Mountain's most popular shops located right here in Sevierville! There's so much to see and do! Sure they carry knives.....hunting knives, fishing knives, kitchen knives, pocket knives, decorative knives, I could go on and on here, however, the best thing for you to do is to do some shopping here for yourself. You'll be entertained quite nicely as you watch the musical bears stage show! Afterwards, visit the Knife Works has a relic shop museum, or go to the knife shop and make a knife of your very own! I'm tellin' ya, it's a great Sevierville shopping experience, so "Come on Down!" GOVERNOR'S CROSSING The shops at Governor's Crossing in Sevierville is a great place for unique "finds" in the Smokies! This outdoor outlet filled with lots of great mall stores has more than a dozen shops to serve you. 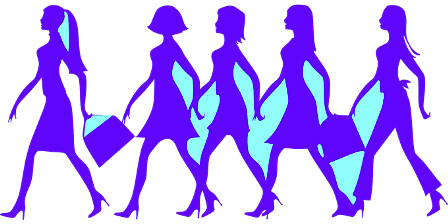 There are some great restaurants nearby, a hair salon, and more! Governor's Crossing is a wonderful place for clearance, and and items on sale. 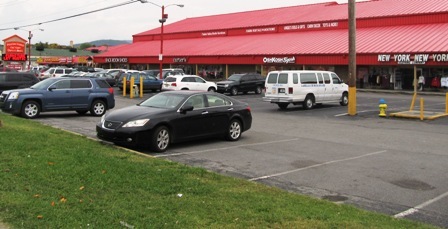 FACTORY OUTLET MALL As you drive down the main thoroughfare of Pigeon Forge, a big red roof will seem to jump out to grab your attention! That's the Factory Outlet and it's filled with mall stores! It's been around for years, and known best around here as the "Red Roof." Again, you'll come across some hot buys and cool prices! Here's more famous brand name items, souvenirs, and super great gift items. BELZ OUTLET MALL This one doesn't get as much traffic as it used to, but it's still a great place to shop! Mainly because it sits right in the middle of Pigeon Forge. What's left of this huge shopping center sits upon the hill,, while it's sister outdoor mall is located directly across the street. It's 450.000 square feet of famous brand outlet stores! 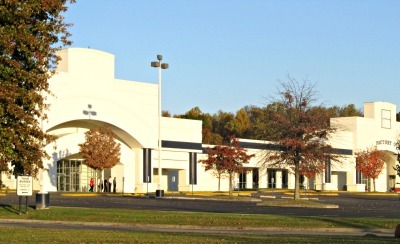 This mall sits directly off the Parkway directly behind Timbers Lodge. While you shop, enjoy a magnificent view of The Island's "Sky Wheel!" GATLINBURG MOUNTAIN MALL Gatlinburg's finest sits right downtown across from Ripley's Aquarium! This unique mall has so much to offer! It''s really a fun place to shop. 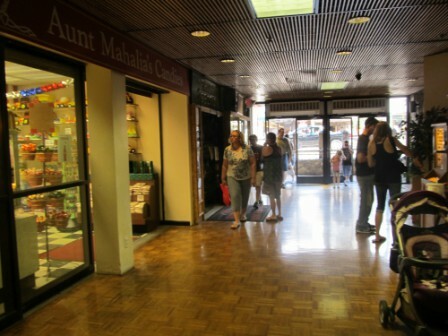 There's about five floors of those one-of-a-kind type stores with truckloads of most anything you're looking for! Thirty-six stores in all! Some things you're not looking for, but will manage to fall in love with! And great bargains you won't be able to find anywhere else. I wish I could mention all the great malls and stores this area has to offer! But since I can't, I will do the next best thing!!! I'll give you a listing of the best malls in the city of Gatlinburg to shop according to TRIP ADVISOR!